The 64th Filmfare Awards 2019 took place on Saturday night and we saw many B-town celebrities walking the red carpet in their most eccentric looks. The who's who from the film industry were here. The awards night saw many nominations and winners, and one special category was also included. 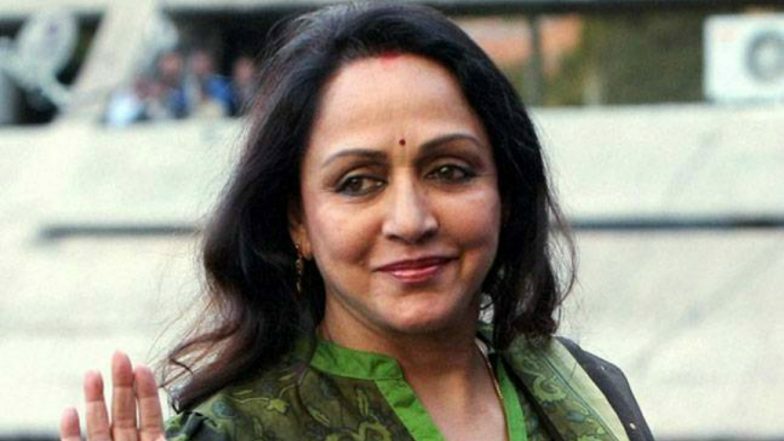 The veteran star Hema Malini received a special award for Completing 50 years in Bollywood. The award was presented by writer-lyricist Gulzar. Filmfare Awards 2019: Ranveer Singh, Vicky Kaushal and Shah Rukh Khan Dance Their Hearts Out on Main Stage [Videos Inside]. The popular yesteryear actress has marked her presence felt in the fields of direction, writing, and production. The actor, at present, is well suited in politics as a Member of Parliament. The actor has successfully completed 50 years in Bollywood and her performances have been widely lauded, for both commercials and films. Her expertise in classical dance has attracted many hearts and true fans. During her Bollywood career, Hema Malini has been nominated 11 times for the Filmfare Award for Best Actress, of which she won once in 1972 for her role in Seeta Our Geeta; the first time she was nominated. The actor became popularly known as Dream Girl and also starred in a film of the same name in 1977. The year was a huge hit for Hema, as she was also honoured with the Padma Shri, India's fourth-highest civilian honour. 64th Vimal Filmfare Awards: Shah Rukh Khan Enthralls the Audience in his Signature Style; Janhvi Kapoor, Mouni Roy, Join the Superstar - Watch Video.